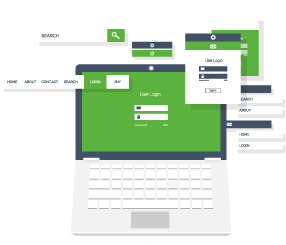 Take the design and layout of your application screens to the next level of user interface modernization – without changing a line of the underlying source code. Using the aXes development studio, each IBM i, (System i, iSeries or AS/400) 5250 screen panel can be converted into a modern web user interface. aXes allows you to enhance the appearance of the application and streamline your business processes - adding real value to your applications. A well researched redesign of the user interface produces fewer keystrokes with intuitive navigation that improves workflow. 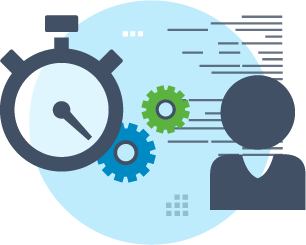 The enhanced user experience enables users to perform day-to-day tasks faster and more effectively – delivering increased business benefits to your organisation. 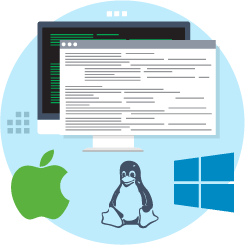 You can turn RPG or COBOL applications into web applications that run on Apple, Linux or Windows platforms. The applications support multiple browsers and run on a wide variety of devices, including desktop computers and mobile devices, such as the iPhone and Android phones.